Summary: Mumbai-based health snacks seller Snackible focusses on healthier snacks that are affordable and just a click away. It raised funding from Mumbai Angels Network and 1Crowd’s angels. Working Model: They want to revolutionize the snacks market by selling healthy snacks at affordable prices and with convenient access. It sells through both online and offline channels. Summary: Delhi-based Vahdam Teas is a vertically-integrated, online-first tea brand raised in its third institutional round of fundraising led by existing investor Fireside Ventures. Working Model: All Vahdam teas are procured directly from 150-200 plantations and tea growers in India and Nepal within 24-48 hours of production. Future Planning: The company plans to utilize the funding to expand its presence in the US, which forms Vahdam’s largest market. A large portion of the capital raised will be used for customer acquisition, brand building as well as for exploring new markets in India. Summary: Chennai-based SaaS startup focussed on B2B education and skill training, Disprz in the edutech space with the idea of changing education through technology, which was a hard problem to solve. It raised in debt funding from venture debt firm InnoVen Capital. Working Model: Disprz, which runs a software-as-a-service (SaaS) platform that helps companies deliver educational and training content. Future Planning: The company plans to use the raised funds to drive further expansion of Disprz’s business across US and existing geographies. Summary: Pune-based Startup studio Technology 9 Labs (T9L) is an Information Technology and Services company received a strategic funding from Japanese investors Spiral Ventures and MyNavi Corporation. Working Model: Internationally start-up studios are fast emerging as an exciting and new way to build successful companies through a proven model. Future Planning: The company plans to use these funds to build infrastructure and hire manpower to be able to help a larger number of startups. Summary: Global e-commerce giant Amazon’s digital payments arm Amazon Pay is an online payment processing service that is owned by Amazon from its parent company. 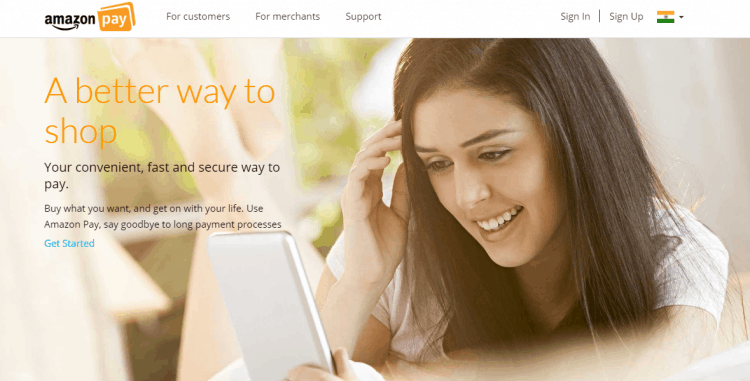 Working Model: Amazon Pay uses the consumer base of Amazon.com and focuses on giving users the option to pay with their Amazon accounts on external merchant websites. Future Planning: The funding comes at a time when the Amazon Pay is predicted to offer huge cashbacks to customers during the upcoming festive sales. Summary: Gurugram-headquartered online automobile marketplace Droom is India’s online marketplace to buy or sell new and used automobiles. It raised its Series E round of funding, led by the family office of Joe Hirao, founder of ZIGExN. Working Model: Droom platform has four marketplace formats i.e. B2C, C2C, C2B, and B2B. You can buy or sell the used vehicle from Droom mobile application and website in your respective city. Future Planning: The company plans to use the funds for investing heavily in developing Droom Credit, its marketplace for used vehicles loans. It aims to strengthen its pan India inspection services and drive further adoption for certification services. Summary: Bengaluru-based scooter rental startup Vogo Automotive raised venture debt from Alteria Capital as part of its Series A funding round from Ola’s parent company ANI Technologies, Stellaris Ventures, and Matrix Venture Partners. Working Model: Vogo lets customers rent scooters for short one-way trips at various locations in Bengaluru and Hyderabad. Future Planning: The funding will allow Vogo to expand its tech team and bolster its marketing efforts. Summary: New Delhi-based B2B transportation solution provider GoBOLT raised in its Series A funding round from impact fund advisory firm Aavishkaar from its Aavishkaar Bharat Fund. Working Model: GoBOLT is a tech-logistics company operating in Line Haul & Short Haul Trucking, creating value through dis-intermediation, increased asset utilization and extensive use of technology. Future Planning: GoBOLT is looking forward to use the funds to strengthen its team, expand its presence across India, increase its fleet size, further develop its technology platform and also foray into allied business segments. Summary: Delhi-based online skill-based gaming startup 9stacks raised in its Series A round led by WaterBridge Ventures. Astarc Ventures and other existing investors also participated in the round. Working Model: Real-money poker has a simple rake-based revenue model – every time customers bet against each other, 9Stacks takes a small percentage from the winner’s pot. Future Planning: The company plans to use the funding to expand its team, further build its technology platform, ramp up user acquisition, data analytics, machine learning, and product and market expansion. 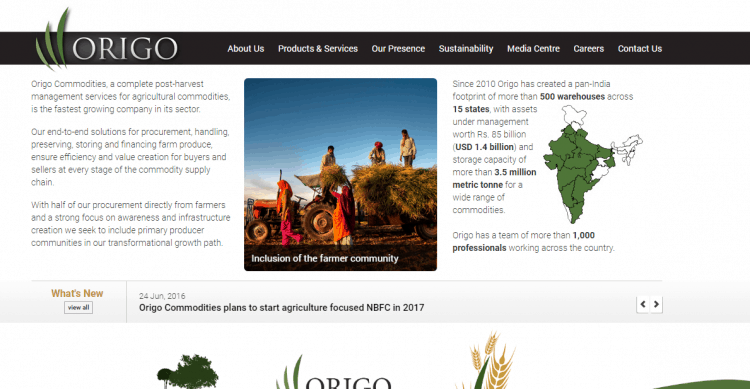 Summary: Gurugram-based agritech startup Origo Commodities, which offers post-harvest management services for agricultural commodities raised funding from impact investors such as Netherlands-based Oikocredit, Triodos Investment Management, and Caspian SME Impact Fund IV. Working Model: The Startup provides post-harvest agriculture supply chain financing and logistics solutions. Future Planning: The startup plans to leverage its investors’ experience to further Origo’s growth to strengthen product and reach to people in need of financing and logistics solution.